Part of the "Wm. 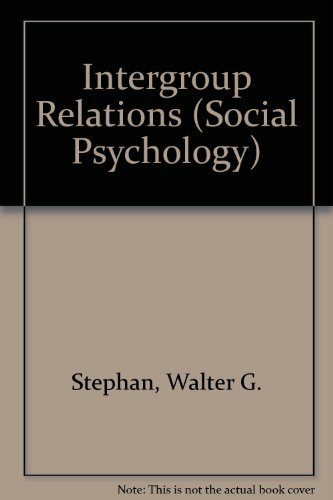 C. Broun Social Psychology series", this book takes a detailed look at intergroup conflict across a variety of groups and cultures. The text analyzes intergroup relations from a social psychological perspective and focuses primarily on the stereotypes, prejudices and discriminatory behaviour of individuals and the manner in which these cognitions, feelings and behaviours affect others and are affected by them. <b>Walter G. Stephan</b> is professor of psychology at New Mexico State University at Las Cruces, where <b>Cookie White Stephan</b> is professor of sociology. <b>Walter G. Stephan</b> is professor of psychology at New Mexico State University at Las Cruces, where <b>Cookie White Stephan</b> is professor of sociology.